-Comments on blog is working again! Though, they still don’t update the comment counter that WordPress has. I’m going to probably need someone to do the WordPress and Vanilla Forums coding in the future, so I can just focus on the game. 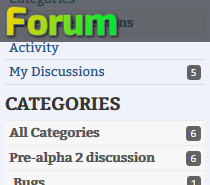 -There is now a suggestion forum. I didn’t set it up before because I had a clear plan of what I wanted in the alpha. But now that I’m going to launch a new kickstarter soon, I can start gathering ideas for the road toward a beta (assuming it’s funded). -Fixed a bug where roll chances for Events weren’t applying. Every scene had a 100% chance to come up, when some of them should have only came up randomly. -Fixed a bug where the Kaeleigh’s return reward for males didn’t show. The bug may have affected some other scenes as well. I should have all those bugs fixed, now. Report anything odd that you see. -Added settings for some of the font sizes. This system will allow for any sorts of css restyling in the future, or for mods to easily add more settings that change styling. Dialog options are fixed to 12px to prevent overflow. -Did a little editing to some older writing I did so that it reads and flows better. -Added a Harpy sort of NPC to the Wilderness. 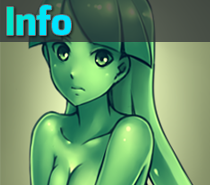 Actually, she was in the last update but just not showing due to that bug I listed earlier. There’s a lot of content that just wasn’t showing properly, that now should. 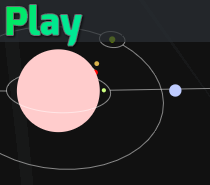 -Flow paths now blend to a color that’s assigned to the scene. -Flow paths are more clear now… I think. I made them extend out further from options, further for each successive option, so the lines all coming from a list of dialog options or functions is less clumped. 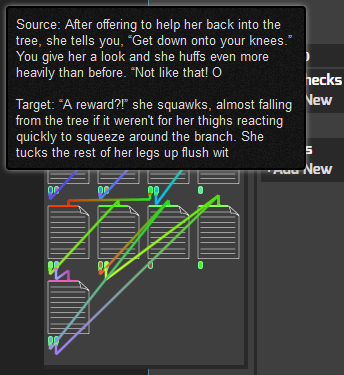 -Added tooltips at all points where a change to a different scene is made, to show an excerpt of that scene, which makes following a scene’s flow and editing it a lot easier. A shot is below.